When it comes to shoring up your health and taking your rides to the next level, there’s no better place to start than in the kitchen. If you’re already kicking off your day with oatmeal, crunching your way through lunch salads and slurping up whole-grain pasta come dinnertime, you’re off to a great start. Yet, these sacrosanct dietary staples can work harder for you by simply marrying them with other foods that deliver great tastes and a cocktail of must-have nutrients. Here’s proof that when it comes to our meals and snacks, two heads are better than one. Many cyclists struggle to eat enough vegetables daily, so think of your morning bowl of steamy oats as a way to sneak more in. 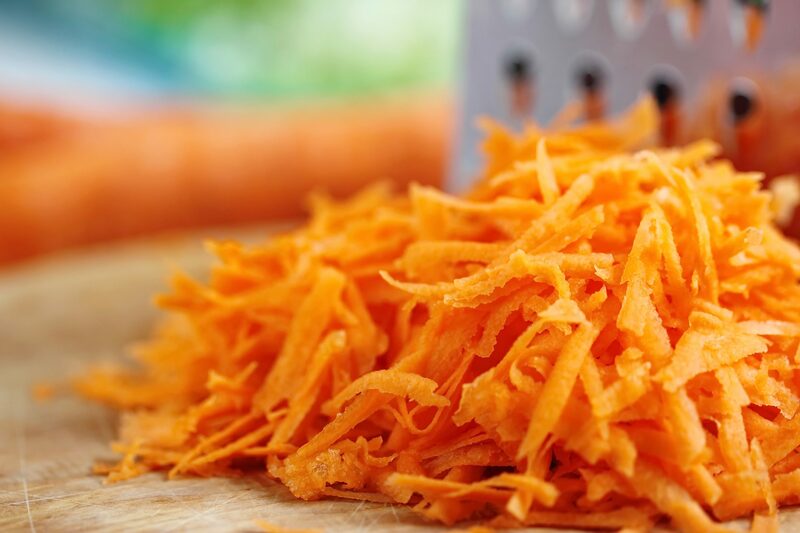 Shredded carrots infuse oatmeal with a touch of natural sweetness along with a healthy dose of beta-carotene, a nutrient that can be converted into vitamin A in the body to bolster bone and immune health. Mix into oats with spices, such as cinnamon and nutmeg, sliced pecans and a few splashes of milk. Now that’s a breakfast Bugs Bunny would hop out of bed for. Peanut butter isn’t the only creamy thing you can spread on crispy bread. Not just for lasagna, ricotta cheese also works as a delicious toast spread. It can embrace all sorts of sweet and savoury toppings including berries, jams, chopped nuts and even smoked fish. And it’s not just your taste buds that will benefit, your muscles will too: ricotta is especially rich in whey protein, the most effective type of protein at stimulating lean bodymass repair and growth. Yes, great things come in small packages. Science shows that the baby version of items like radish, broccoli, sunflowers and kale can be more nutritionally dense than their grown-up versions. Why? Robustly flavoured micro-greens are harvested when the plants are very young so are packed with the nutrients and antioxidants they need to grow into mature plants. So pile them high onto your lunch sandwiches for a nutrition and flavour punch. Look for microgreens in natural food stores and some farmers markets. For better health and performance, eat hemp to your heart’s content. These tender and nutty tasting hulled seeds of the hearty hemp plant are a treasure trove of nutritional goodies. Namely, hemp hearts supply laudable amounts of protein, heart-boosting omega-3 fats and magnesium, an often underconsumed mineral that’s been linked to disease prevention. Working them into your diet is as easy as topping a bowl of yogurt with a few spoonfuls of hemp hearts in an effort to combine and conquer. They’re great on salads and oatmeal, too. Forget ho-hum bell peppers, if you want to enliven your salads with a taste explosion, hit up the deli counter for some of these South African peppers. Peppadew peppers, a trademark name for piquante peppers, are blessed with a habitforming sweet, fiery flavour and just the right amount of crunch. Peppers, like Peppadews, obtain their fiery kick from capsaicin, a compound that may help slash disease risk and rev up your metabolism. Look for the fire-red gems in the deli section of many grocery stores where they are often sold in brine. Perhaps the expression “holy mackerel” hails from the fact that this swimmer is a nutritional superstar. For starters, mackerel is loaded with the omega-3 fatty acids shown to help reduce muscle pain following exercise. It’s also a standout source of high-quality protein and bone strengthening vitamin D. Mackerel’s rich tasting flesh can elevate a bowl of pasta, so skip the red sauce and make a meal consisting of wholegrain noodles, chunks of mackerel, sautéed vegetables and a generous drizzle of olive oil.